Size: 1.75 - 2 in. 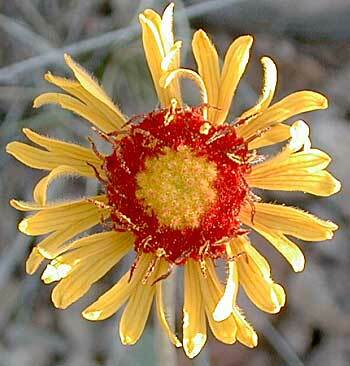 Other names: Reddome blanketflower, pinnate-leaved gaillardia. Notes: Perrennial herb; used by the Hopi as a diuretic. 5 species of Gaillardia in Arizona.